The Institute would like to say a word about the author of this book review. Dr. John Thorley came to the Institute’s conferences in the early years until his health prevented him from doing so. Some will be familiar with him from those years, but many of you may not be familiar with him and thus this short introductory note. Dr. Thorley is a classical scholar. He taught the Classics in schools during the years 1963 until 1983. He has also taught Greek History, Medieval Latin and Homeric Greek at university level for some years. He was Chair of the National Schools Examination and Assessment Council Classics Committee, Chair of the Classics Committee of the Northern Examinations and Assessment Board, Consultant on Classics for the Schools Curriculum and Assessment Authority, Chair of the Joint Association of Classical Teachers and President of the EUROCLASSICA, a federation of European Classical Teachers’ Association. Along with this very in-depth study and teaching of the Classics, Dr. Thorley has written books related to the Classics: Athenian Democracy (Routledge 1996 and 2004; Chinese editions 1999) Documents in Medieval Latin (Duckworth 1998). He has written around 20 academic articles and conference proceedings on Roman history, New Testament Greek and Medieval Latin records. He was also the last principal (President) of the Charlotte Mason College in Ambleside, England. Recently he published four chapters in the new Institute book Essays on the Life and Work of Charlotte Mason. John lives with his wife, Joan in England. Karen Glass has certainly produced a very readable book in her effort to link Charlotte Mason with the ‘Classical Tradition’. 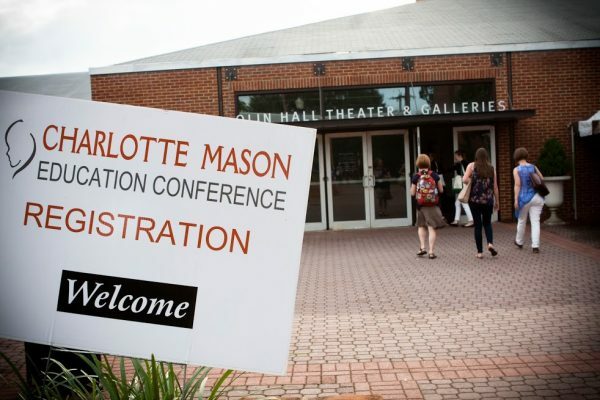 The Charlotte Mason community in the USA and Canada will doubtless find the ideas interesting and stimulating. Coming from the other side of the Atlantic I did find some of the ideas rather foreign to my own experience in the English educational scene. I also had some difficulty with the idea of the ‘Classical Tradition’ as described by Karen, though Karen does admit that the term ‘is not simple to define’. Nevertheless, Karen does assume that the Classical Tradition is in some way one coherent thing, and the historian in me rather balks at that idea. The problem is that the concept of the ‘Classical Tradition’ as used in educational circles in North America is a fairly modern construct, composed of selected elements from the ancient and medieval worlds. There is of course nothing wrong in that, but the result is that the core of agreement on what the Classical Tradition is has proved difficult to define. If I may be allowed to expand a little here, because the term Classical Tradition is crucial to Karen’s thesis. In the Greek and Roman world education (which was only for the privileged minority) was concentrated on certain writers (poets, especially Homer, historians and orators), with the addition of rhetoric and a few other areas associated with these, such as music (lyric poetry was, as the word suggests, sung to a lyre; and Homer may also have been). The focus was clearly on words, and indeed the essential purpose was to produce orators for the law courts and for the world of politics; and to that extent it was definitely ‘synthetic’, as Karen argues. The medieval world of western Europe devised the trivium (Grammar = literature, as Karen rightly says, Logic and Rhetoric) and the quadrivium (Music, Geometry, Arithmetic, and Astronomy). It was of course by now a Christian world, and the language of educated discourse was Latin, and the books studied were in Latin (Greek works were only introduced in the late 15th century. Before that scholars had relied on Latin translations of Arabic translations of Greek authors). The unifying feature was that the whole curriculum was viewed and interpreted through Christian doctrine, which was of course quite a different unifying feature from that of the classical world. So Karen is right that in both the classical world and the medieval world there was a synthetic approach to the subjects studied, though for very different reasons. And Karen argues that the main focus of education in the Classical Tradition was on the development of character and on ‘virtue’, which is largely true. However, in the classical world the Greek word ‘arete’ and the Latin word ‘virtus’ did not mean ‘virtue’ in the modern sense, though admittedly they did include concepts of right and wrong as understood in their cultures. Both words are in fact derived from words meaning ‘man’ or ‘male’, and the prevalent idea was ‘possessing manliness’, ‘capable’, ‘brave’. Odysseus and Achilles both had ‘arete’, and they both got through a fair bit of killing. And Odysseus of course was known for his trickery and deceit. In the medieval world the aim was undoubtedly to produce good Christians, though one might add that medieval Europe was hardly a good advertisement for Christian love. It remains true, as Karen argues, that the Classical Tradition, in its ancient and medieval versions, was focussed upon developing character and also had a synthesising quality. It’s just that both these qualities were very different in the earlier and later versions, and the kind of character they were each trying to develop raises questions for any Christian moralist today. So what is one left with as a basic definition of the Classical Tradition? I suppose it must be that the Classical Tradition endeavours to develop character, however defined, and to offer a unified (synthetic, as Karen puts it) focus of some kind. I believe also that the modern Classical Tradition in North America fosters the teaching of Latin, which was of course the medium of Roman and European medieval education, though Karen does not support that aim. The problem then becomes that the Classical Tradition so defined does not amount to much of a guide as a distinctive educational philosophy. Charlotte Mason certainly had much to say about the development of character – but I am sure classical Chinese educators and Jewish educators argued that they had similar aims within their own traditions. Karen does indeed go much further than this in her definition of the Classical Tradition, in particular in refining the concept of a synthetic focus, which entails developing a relationship between the learner and knowledge. But I find little of this idea either in ancient or in medieval education. One can indeed find the odd quotation from ancient and medieval philosophers which might suggest that they had an inkling of that notion, but I cannot see any sign of the idea actually in the ‘classical’ curriculum or in what remains of the ideas of actual teachers. It was of course an idea that Charlotte Mason developed in a very distinctive way as a major part of her educational philosophy, and it does seem to me that Karen has felt obliged to search for the roots of this idea in the Classical Tradition, but really not very persuasively. Charlotte Mason herself, though she was undoubtedly aware of the classical and medieval educationists, as far as I can see never specifically says that she is basing her ideas on theirs. Karen of course rightly concentrates on her stated theme in her book, but she also touches on wider issues. One of these, closely linked to her ideas of what can be considered as a synthetic approach to knowledge, concerns science education. Karen implies (especially on p.90, if I understand her correctly) that the inclusion of science in the curriculum (as an ‘analytical’ subject) has caused the decline of what she considers to be the superior synthetic mode of thought. I have to say that I do not find Karen’s definitions of synthetic and analytical helpful, and certainly not here. In my experience children can certainly develop a relationship with science, with the wonder of the world and its interrelationships, and with the mathematical ordering of the natural world (and I speak here as one ‘classically’ educated in Greek and Latin, not as a scientist). Moreover, any modern philosophy of education which does not embrace the sciences and, in today’s world, information technology is selling children short. I have not seen anything in Charlotte Mason’s philosophy that would contradict this. In summary, though Karen’s book is interesting as an exposition and a defence of ‘classical education’, she has shown only tenuous and very general links with Charlotte Mason’s philosophy of education. This I suspect is at least in part because the modern concept of ‘classical education’ is difficult to pin down, and its links with the reality of Greek, Roman or medieval education are neither clear nor educationally productive.